Home » Guide » What is a widget? What is a widget? Why do we need widgets? 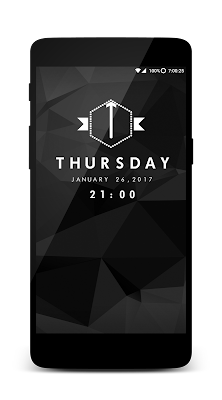 How to add a widget in home screen? This is a comprehensive guide which explains everything about the Widgets in android. What is a Widget in Android? A widget is nothing but an extension to an app that is installed on your android smartphone (iOS handles the widgets a bit differently, that’s a different topic altogether). It gives you the information you need right on the home screen without having to open the app. The below image shows how a simple widget can make your device look sophisticated and beautiful. For example, the most commonly used widget is the ‘Clock’ widget or ‘Weather’ widget. Everyone has a weather app installed on their screen. But you don’t have to open the weather app every time you need to check your weather. Just add a widget of that particular app to your homescreen. Done! 👉 Suggested Reading: How to add widgets in Android? Most of the android phones come with some pre-built widgets like the traditional clock widget, alarm widget, Google search widget, Google Play widget, Music Widget, Messages widget, etc. But you are not limited to use only these. There are tons and tons of beautiful and extremely useful widgets available in the Play Store. You can get one that suits your needs.